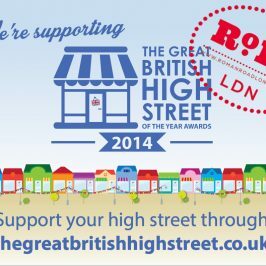 Roman Road is a finalist for this year’s Great British High Street awards, and we need your vote to help us win! This is a great opportunity to tell the world what’s so great about Roman Road so tell us what you love best about Roman Road on our Facebook post and on Twitter too (@RomanRoadLDN #GBHighSt). The judges will be looking!! And they’ll be visiting the high street soon! If Roman Road wins it will receive a cash prize to go towards further high street improvements. 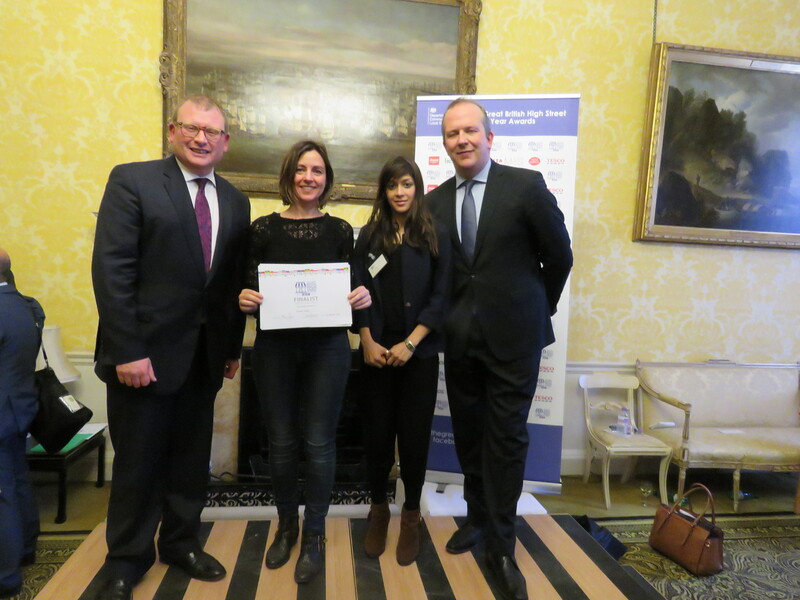 As well as the cash prize, winners will also receive dedicated support and mentoring from industry experts which could range from one to one coaching to advice on digital marketing. We speak to Tabitha Stapely from Roman Road Trust about entering the competition and why they think Roman Road should win. Q. Why do you think Roman Road should win? Roman Road is one of the last remaining true East End high streets, far enough away from the Shoreditch effect to have retained our independent spirit and East End roots. 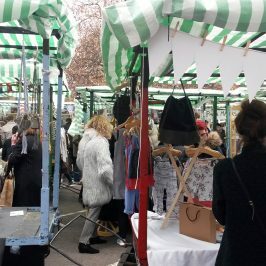 We have a real East End market still selling great end-of-line bargains from French Connection and Top Shop, the historic GKelly pie and mash shop, still going strong; very few multiples and lots of independent shops. There is a true sense of community here with people who have lived here and worked the market for generations, like Stuart the fabric man and Amanda the fruit and veg seller. Our independent shops include a lot of well-established stores that have a been attracting East End shoppers for decades, including Jakss, the children’s designer wear shop; Thompsons the hardware store whose family have been providing DIY advice for generations, and Gina’s Closet, the fabulous vintage bric-a-brac emporium where you can buy anything. And we are now seeing a lot of new ones coming to the road, such as Vinarius, the Italian wine shop; Fika, the Swedish coffee shop; Muxima, the arts cafe; SNAP, a unique and quirky gift store, and the most wonderful Anchor + Hope that sells fashion and homeware all hand-crafted and made in Bow. The Roman Road Food Assembly has recently launched on Roman Road too, and is the busiest one in London! There are more too, and some exciting new shops and restaurants opening soon. Roman Road is also the home of the East London Federation of Suffragettes, and you can visit all the sites of buildings that have changed the history of women, like the Mothers Arms, Bow Baths, and theToy Factory and Arbers, the printing shop that printed Suffragette flyers. Q. How did you get involved in community work? A few years ago we realised Roman Road had suffered during the recession and lost its way a bit in the face of changing shopping habits. It had a lot of empty shops, a high business churn rate and a community that turned elsewhere for shopping and leisure needs. So we formed the Roman Road Trust with the mission of trialling several initiatives to improve Roman Road. Our first piece of work was to organise a consultation with the local community. Residents told us that high street was missing some vital shops and services for them, like a cycle repair shop and a butchers and things open in the evenings. Interestingly, it also showed us that residents didn’t know what was already on their high street. So we decided to put on a series of events designed to showcase local traders, shops and businesses; to provide a great reason to get residents out to the high street and re-discover it, and to bring the road to the attention of potential new businesses and traders to fill empty shops. Q. Why do you think community events would help Roman Road? 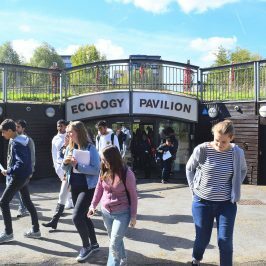 We’ve put on a range of community events that reflects the multicultural nature of our community, including an Eid Party celebrating the end of Ramadan and the screening of the Wimbledon Men’s Finals on big outdoor screen, recreating a village green with artificial grass and straw bales. All offered a designer-maker market featuring local artists and makers and local street food traders. 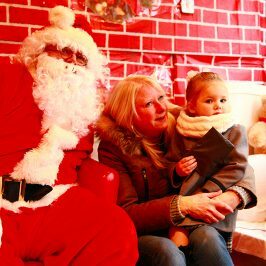 We believe it’s important for local businesses to benefit from these community events too. So all our street festivals feature a program of fringe events which are hosted by local businesses. These range from film screenings in coffee shops, origami workshops at the gift store, cookie decoration for kids at the local pie and mash shop, and performances from the local drama school at the greasy spoon. This is a great way for local businesses to test out leisure and evening economies, something which is key to adapting to the changing high street landscape. Community events create a great opportunity for lots of positive publicity and social media buzz. We’ve now got nearly 4,000 Twitter followers which shows how much support there is from the local community. It also increases the awareness of Roman Road to new visitors and potential new businesses who may want to open a store here. Local businesses know that our high street Twitter and Facebook platforms will amplify their posts, and we’ve seen many new shops join Twitter and Facebook since we’ve been active. We’re working very closely with the local authority and we hope we can demonstrate to other local authorities the value of working with community groups to deliver community events. Community events are a great opportunity to promote community cohesion, bring new shoppers to local businesses, support new local entrepreneurs, give a platform for other local community groups, increase footfall and generally stimulate local enterprise and the wellbeing of the community. Q. What have been your successes? Our events have brought a total of 12,000 people to the road. We’ve supported over 40 local entrepreneurs, giving them the opportunity to test their product and services at a market for the first time. Thanks to all the social media buzz and publicity created by the events, several new local businesses have started since our activity began. A great example is Paradise Cycles, a touring cycle repair intiative started by a student at our local Queen Mary University. We gave them the opportunity to have a pop-up stall at our festival and it was so succcessful that they decided to open a shop on Roman Road, which has just opened. The events also provided guided walks and talk about the history and heritage of our area, to ensure that our East End heritage survives and to help people fall in love with their area. A lot of people didn’t know for example that the Bow is the heartland of the East London Suffragettes. Vitally we’ve established which parts of our public realm are most suitable to be developed as our ‘town square’ and for an additional destination market. Q. What’s the future for Roman Road? We hope our work will help develop the relationship between local authorities and community groups, and develop the concept of ‘community events’, events that are created by local people, for local people and about local people. The next Roman Road Festival will be an amalgamation of all our learning. It will be bigger and better than ever. We’re also looking at some innovative digital marketing ideas that will harness both short term publicity and longer term presence on the web. For us we are particularly keen on setting up a sustainable model for high street support. 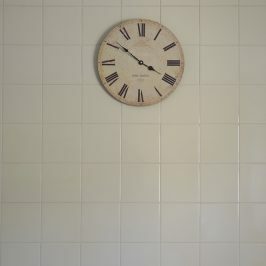 For press enquiries please contact Tabitha Stapely at hello@romanroadlondon.com.